Hold short standing meetings in the lobby, front office, plant floor, or other places of frequent discussions. 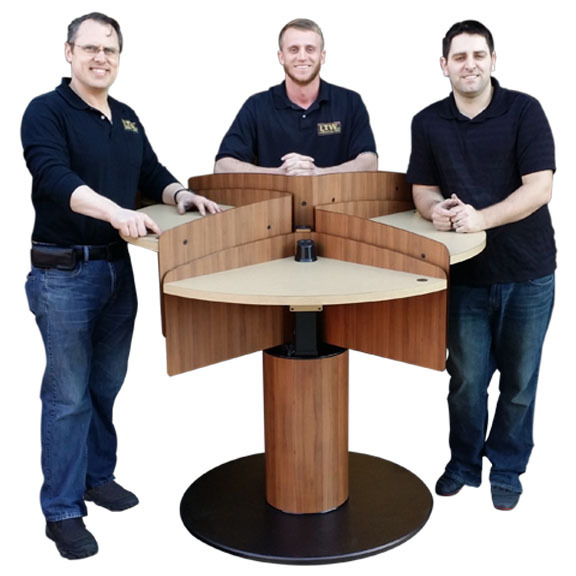 Anywhere you find people coming together for short standing meetings, you will start to see these new Patent Pending MConference tables growing up to fill the demand! 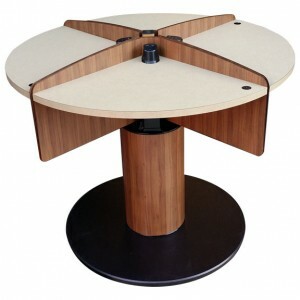 This meeting table is where you can “Grow Ideas Fast”! 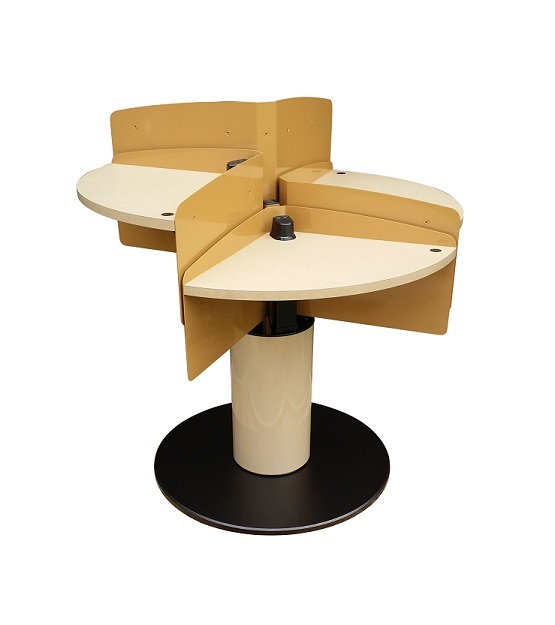 Each of the four table sections can easily be adjusted in height with the touch of a button so that everyone who comes to this table can meet safely, efficiently and comfortably. With LTW’s custom configurations, sizes, privacy panel heights, colors to match your décor, and charging ports at each section, you will see these popping up everywhere! LTW hopes to introduce your company to a new concept. Who likes long meetings with no end in sight? Not our company! With the MConference Table, coworkers can simply meet up at a table, carry on a discussion, and end it off before anyone gets too tired of standing. With plenty of room for laptops, no one will gripe at the thought of another meeting. 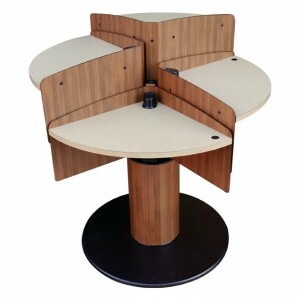 Your coworkers may or may not be short or sweet- but with the MConference Table, all meetings will be short AND sweet! Stand up meetings with the MConference will change your company’s work atmosphere. 100% Custom to Your Request! 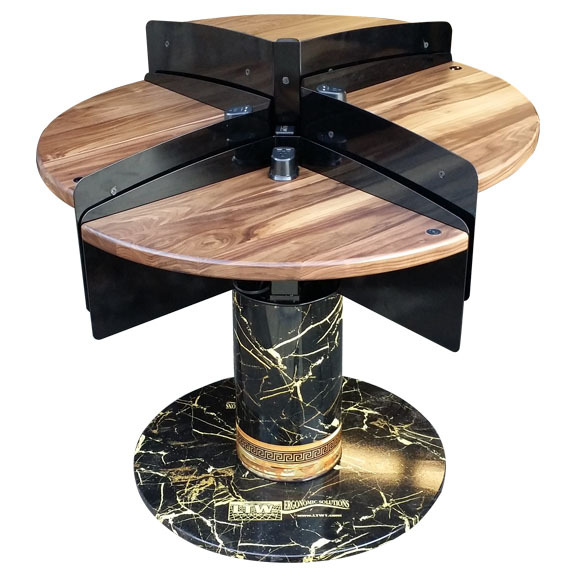 Cover your table in custom artwork with graphic veneer wraps. Company branding, such as logos, can be printed on veneer wraps and then placed wherever you’d like to personalize your meeting area.